Innovation was the buzzword of the World Economic Forum. Not only was it used by political and business leaders alike. But, also pivotal leaders in the development sector as well. 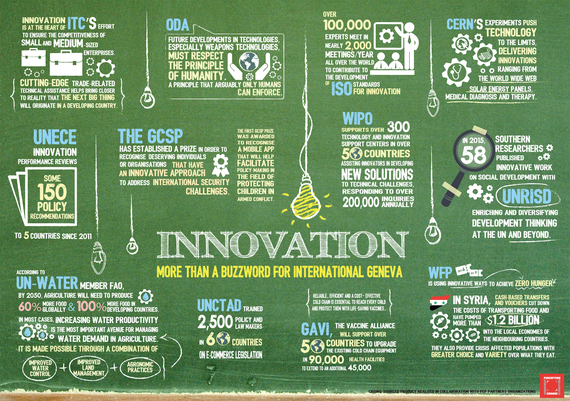 In Geneva, our unique mix of international organizations, think tanks, academic institutions and NGOs are driving a very specific kind of innovation: innovation for development. 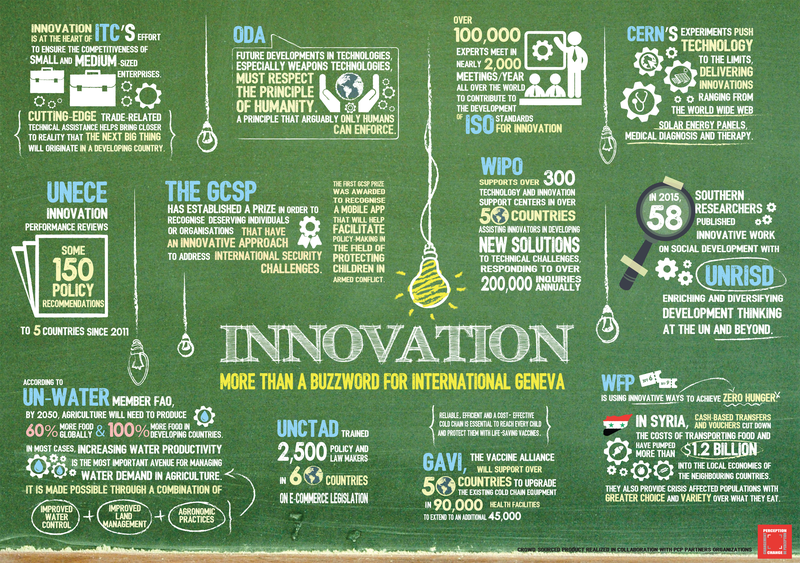 From global health to human rights, humanitarian action to disarmament - innovation is being prioritized across all hubs in Geneva. From all fields, actors are rejecting business as usual. Instead, they are pushing boundaries of all kinds to find new solutions to the world's most pressing challenges. At CERN, scientists are experimenting with new radioisotopes to revolutionize medical diagnosis and treatment. With International Atomic Energy Agency (IAEA) assistance, the World Health Organization (WHO) has made similar progress. Through nuclear-derived diagnostic kits, detection of the Ebola virus was improved radically from several days to a few hours. The Open Geneva Hackathon 2016 next April will also tackle critical health challenges through innovation, for example harnessing didactic interface and wireless communication for a neonatal incubator. Similarly, the United Nations Refugee Agency's Innovation Lab is working to invent the next generation of humanitarian shelters: a weather-proof, modular unit equipped with solar panels. This has the potential to reach millions in need with improved living conditions. The UN Institute for Training and Research (UNITAR) is also using imagery analysis and satellite solutions to track the migration of people displaced by war, to target humanitarian aid to the right locations at the right time. Here, innovation is driving improved, more efficient solutions. The Swiss Federal Institute of Technology and Afrotech are also blurring boundaries between health and humanitarianism. They have designed drones not for warfare, but to carry life-saving medical supplies, like blood for emergency transfusions, to remote communities. Another noteworthy example is next week's DiploHack. This event will connect human rights experts, developers, designers and diplomats around the challenge to create new technological tools for human rights monitoring. Though the cases here point to just three Geneva hubs, they show strategies for success. To progress on any front, integrated and imaginative synergies are needed to facilitate innovation for development. Resourcefulness and efficiency across the system must be prioritized. This is the only way forward, especially as we embark on our ambitious agenda to achieve the Sustainable Development Goals -also known as the Global Goals- by 2030. We must unite leaders from business, industry, government, academia and development agencies alike to share ideas, resources and responsibility - and Geneva has proven its expertise in this area. Here, innovation is not just the buzzword. It is the Geneva approach.